36 Metallic Jewelry Body Art Temp Tattoos Just $4.99 PLUS FREE Shipping! You are here: Home / Great Deals / 36 Metallic Jewelry Body Art Temp Tattoos Just $4.99 PLUS FREE Shipping! 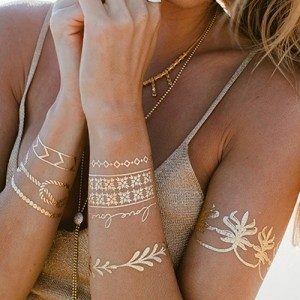 Check out these cool Metallic Jewelry Tattoos! You can get 36 Metallic Jewelry Tattoos – Body Art Temporary Tattoos for just $4.99 down from $30! PLUS FREE Shipping!